A very shredable, fun foot toy for your feathered family. 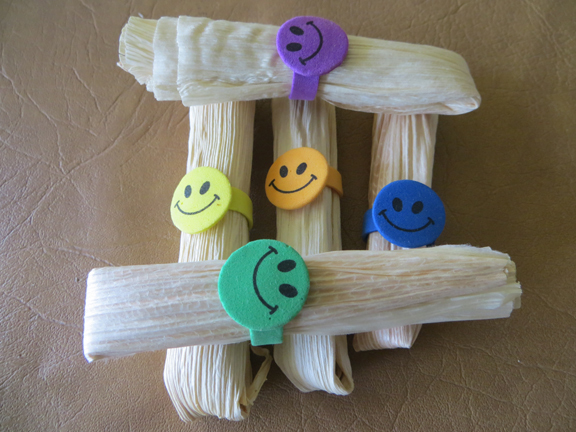 Tamale wrapper (corn husks) rolled up and held in place by a foam rubber smiley face! Hang it for the smaller birds and hand it to the bigger beaks ... then stand back and watch the fun!